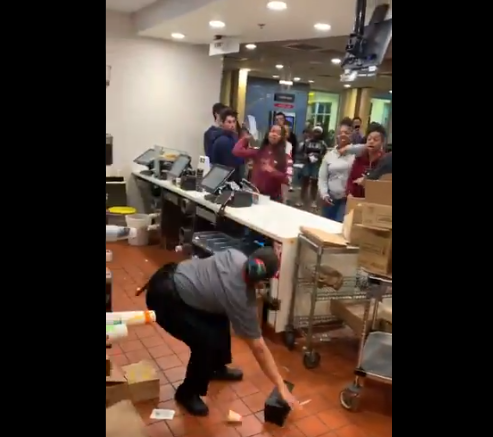 A group of rowdy teenagers went berserk in a Southern California McDonald’s after a mother of two small children confronted the older girls and asked them to leave the play area. The teens became irrate and began throwing cups of water and and ice at the mother after she refused to fight them. They eventually made their way into the main dining area where they confronted other customers and restaurant employees. 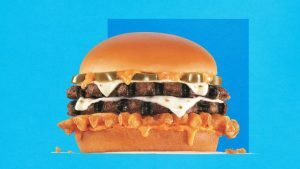 In a video shared on social media by employee Dexter Forbes Jr., the group is seen arguing with two male customers while the McDonald’s employees watch from behind the counter. That’s when the group starts throwing big items at the workers. Employees and customers alike called the police, but the girls fled the scene before they arrived. The group caused approximately $1,000 worth of property damage.